Posted by Rhett Mcdaniel on Wednesday, April 10, 2019 in News. Want to create innovative online learning experiences? Investigate the impact of the experience on your students’ learning and share the results with colleagues? 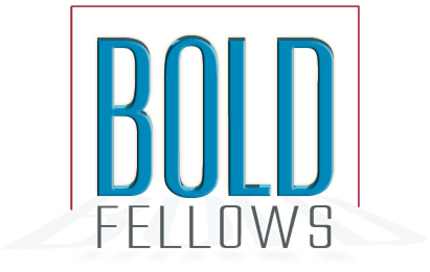 The BOLD Fellows program helps graduate students from all disciplines design and develop online learning experiences, from building online learning modules to fostering online spaces for their students to interact. Each Fellow works with a faculty member who has identified a teaching “problem” in a particular course, working to develop a potential solution, integrate it into the faculty member’s course, and gather data on its impact on student learning. The program spans two semesters: the Fall 2019 “design and development” semester, in which Fellows receive training and support as they develop their module, and the Spring 2020 “implementation and assessment” semester, in which the Fellows implement the project, gather evidence, and work with the CFT to interpret and present their results. Graduate students from all disciplines are encouraged to identify a faculty mentor, discuss a potential project, and apply by May 15. 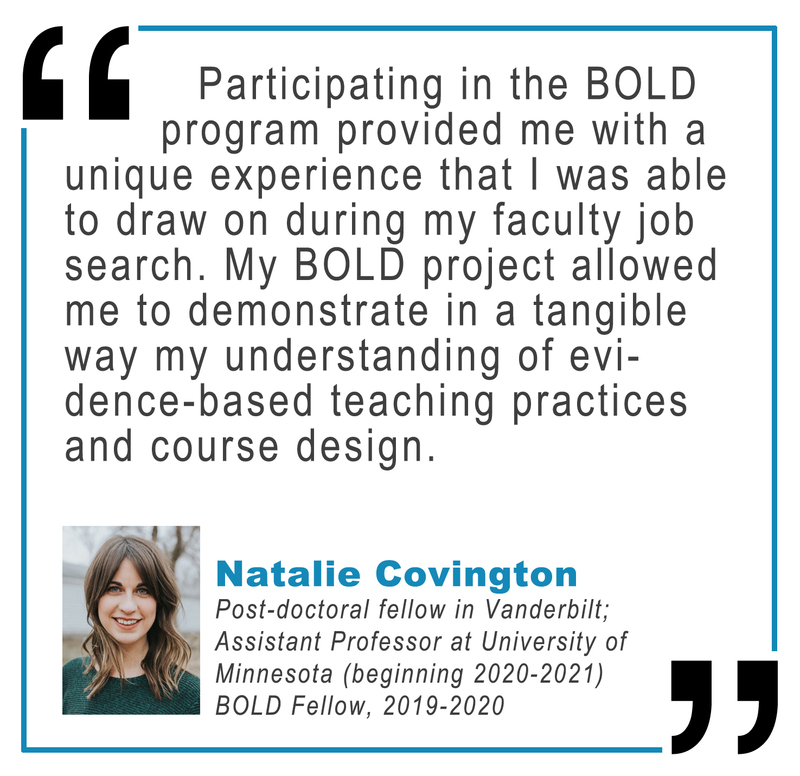 Previous projects from STEM participants are described in the BOLD project gallery; the program includes all disciplines and encourages applications that take novel, discipline-appropriate approaches. The Fellowship carries a $1000 stipend and the opportunity to apply for $500 to fund travel to present the project. For more information about the program, including application information, see the CFT’s BOLD program page.